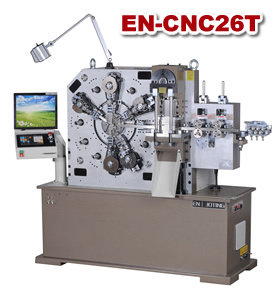 We have many kinds of advanced CNC Spring machinery to produce all kinds of metal springs and wire forming products,which used widely in our daily life. From time to time, your new metal parts project requires Wire Forming services too. 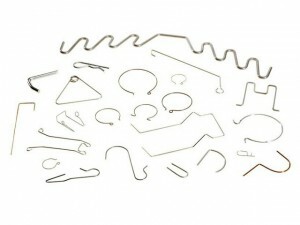 We also offer CNC wire bending and fabrication service, in addition to our other fabricating services. For this reason,we built a another professional technical team,equipped with advanced testing equipments, including metallographic analyzer, raw material bend testing machine, raw material torsional testing machine, microcomputer spring tensile and compression testing machine, spring hardness testing machine, magnetic automatic defect detector, fatigue testing machine, salt spray testing machine, carbon-coating tester, chemical content analyzer and so on,which most of them was imported from germany , Korea. Using the latest software and machinery, our results are always accurate and exact. 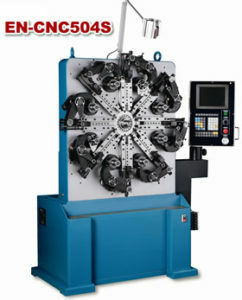 We specialize in a large number of fabrication processes, including fourslide work for high production parts. 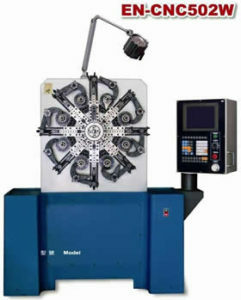 For small runs, we are skilled with air formers and diacro machines. We can reach tolerances as tight as .010 inches. Our expertise in CNC wire Forming allows us to meet any and all specifications, while saving our customers time and money.We’re responsive and we react quickly. We can prototype your new concepts fast. Our turnaround time can help you get your new products to market quicker. Processing craft Material purchased-production-heat treatment-surface treatment-package-shipping. Finish nickel plating,chrome plating, zinc plating, black, beryllium copper, coating firm, melanism etc. Heat treatment Tempering, Stress relieving, Spheroidizing. clamp, switch, mirror, gift, art ware, molds, household appliances. Quality Standard ISO9001:2000, SGS, ROHS. Sampels availablity For free, The buyer is responsible for the freight. Type of shipping By sea, air, express. Lead time Normally in 7 working days, but based on the order quantity. Packing PE bags, cartons, pallets. Warranty 100% return goods or refund payment if quality problem.